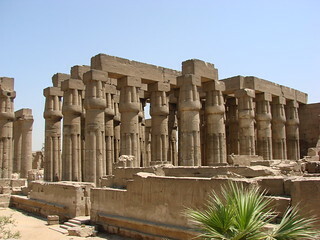 The city of Luxor in Southern Egypt, is on the site of the ancient city of Thebes across the River Nile. The modern city of Luxor straddles the temple ruin complexes of both Karnak and Luxor and is considered the world’s greatest open air museum. The West Bank Necropolis, including the Valleys of the Kings and Queens with their associated temples and many antiquities, is directly opposite and across the Nile. This location makes Luxor Egypt’s premier tourist site and destination. Luxor, city of the god Amon-Ra, was the New Kingdom capital of Egypt. It was also at times during history known as “the shrine”, “city of the 100 gates” and “southern Heliopolis”. Luxor was always associated with high social status, political supremacy, art, luxury, but also supreme wisdom and highest religion. During antiquity, the Pharaohs of the New Kingdom (e.g. Tutankhamun) made Luxor super-wealthy through their annexation of entire neighbouring countries, when Luxor was military capital of Ancient Egypt. As a result, civilized peoples like Babylonians, Hittites, Phoenicians and Minoans flocked to Luxor. 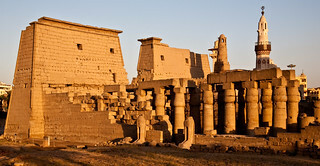 Eventually the city of Alexandria took most roles away from Luxor. However, Luxor remained as the religious capital of Egypt, with Amon incorporating the sun god Ra (Amon-Ra), his wife Goddess Mut and their son Khonsu (God of the moon) being the main deities. Alexander the Great paid his respects during the wars of Greek occupation and eventually even Roman Empire Christian monks built monasteries between the ancient monuments in Luxor. 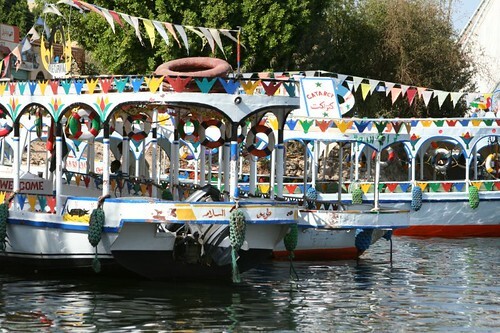 Places to visit on the East bank include Luxor and Karnak Temples, as well as the Luxor and Mummification Museums. The West bank’s Valleys of the Kings and Queens, Tombs of the Nobles and Colossi of Memnon are unmissable. 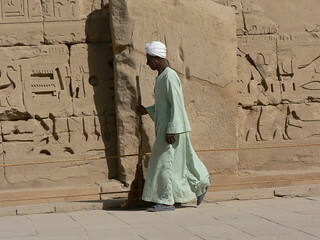 There are also the memorial temples of Ramesses II and III and the workers’ village (Deir el-Medina). 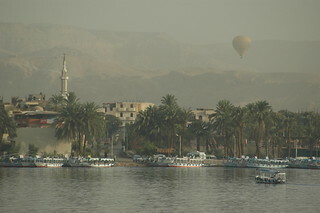 Luxor International Airport serves the city, with Nile crossings possible using either the National Ferry (opposite the Temple of Luxor), or the quicker (but more expensive) motorboats. The railway station is also situated nearby the Temple of Luxor and journeys along the Nile as far as Aswan or Cairo are possible. Always negotiate horse carriage (calèche) tours around the city, or taxi journeys, in advance, particularly on the West bank. Image credits: Davidlohr Bueso, Maureen, Allan Harris, Digital Cat, John Thomas, Michael Goodine, Nina Hale.